22 Michaels: Welcome to the Shoes of Prey team James and Jophie! Welcome to the Shoes of Prey team James and Jophie! 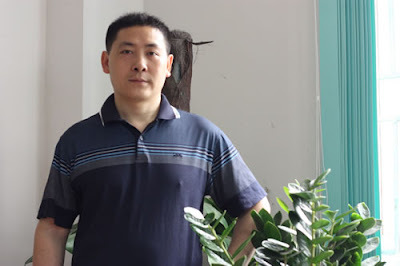 James comes from Chengdu, Sichuan Province, and joins us as our principal shoe master. Shoe production has been a passion of his for over 16 years, and he has been involved in shoe making for some famous shoe brands, such as Adidas, Nike, Converse, Timberland, Nine West and Coach. James has also worked in the shoe industry in Vietnam for more than a year as a technical director. His personal philosophy is that, in order for a shoe company to succeed, the craftsmen must treat each shoe with the care of a newborn baby. Outside of work, he enjoys reading and exercising. Jophie started with us 3 weeks ago, and joins us as a shoe curator. Jophie comes from Yueyang in Hunan province the same with Penny. She finished college last year in June, her major is Business English. 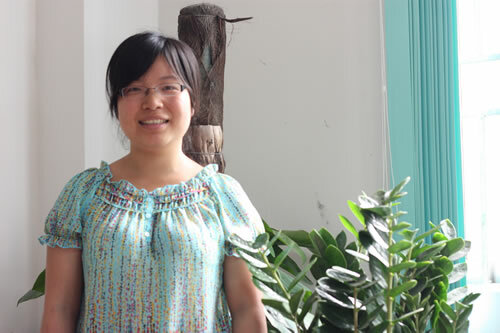 Previously she worked as a translator for another company. She likes reading novels and watching English movies in her spare time. Her goal in life is to take care of her parents, whom she adores very much. Hey Mike, congrats with the new hires. Following with admiration at the rapid growth of SOP. Was wondering where/how did you manage to find these star recruits so easily from Sydney? referral or perhaps you guys have an agent over there even. Nevertheless, well done and rock on. Hi Henry, thanks for your kind words. We were lucky in this case that both Jophie and James came via referrals from people we were already working with in China. When we first went to China we knew very few people. Mike had a few contacts in Shanghai from when he was based there for 6 months with Google, so those contacts lead to our first hire. From there it's all been word of mouth and referrals or having our local employees advertise the jobs for us on local job websites. There are online recruitment agencies in China so if you're looking for your first hire and have 0 contacts that might be a reasonable place to start. I'd recommend spending a lot of time on the ground there as you get started though.